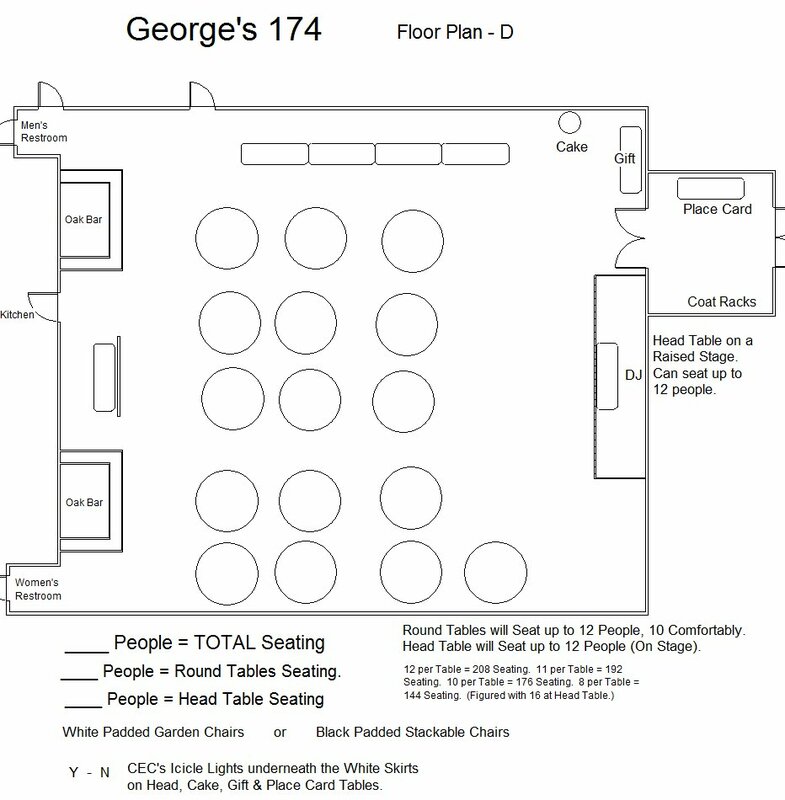 George's 174 Full Service Packages, Cutting Edge Catering, Catering to your every Whim! Serving Joilet and the entire Chicagoland area! bars with art deco mirror accents. Modern terrazzo flooring offers the flexibility of an unlimited dance floor. Beautiful custom draperies and brand new decor add to the elegant style of this “must see” venue. Click here for PDF of menu to print or view. Dinner Package: 5 Hour Hall Rental with chosen Menu. 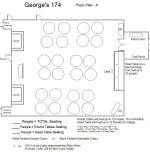 Additional Hall Rental Time, Bar Upgrades & Custom Packages are Available. We are your ONE-STOP-SHOP! 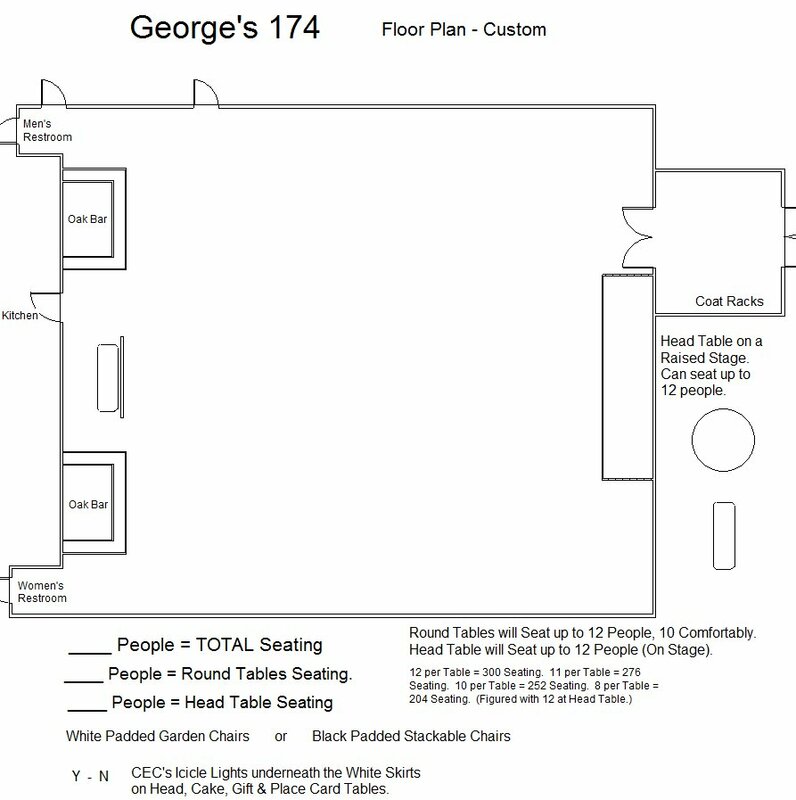 Let us handle all of your planning needs. 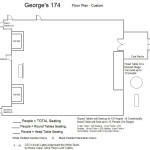 Please Call for Special Incentives! º All prices are subject to a Security Guard Fee ($130), 18% Service Charge and applicable sales tax (currently 8%). º All menus, prices and packages are subject to change without notice. All prices are per person, unless noted. º If tip jars on the bar are not preferred a 10% prepaid bar gratuity on the bar pricing is required. º Pricing is based upon 10 guests per round table. 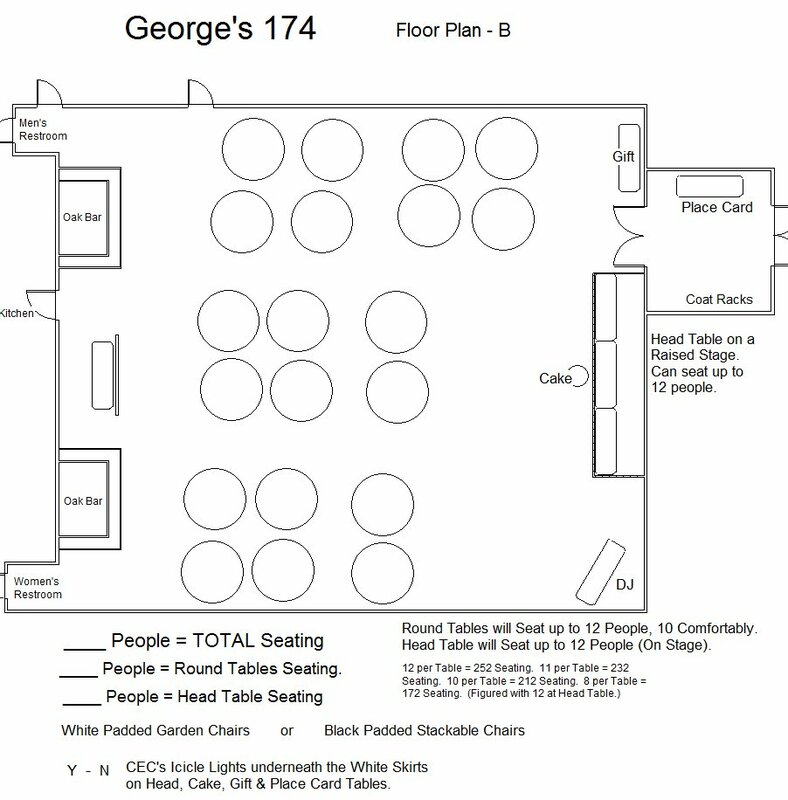 Tables can accommodate up to 12 guests. 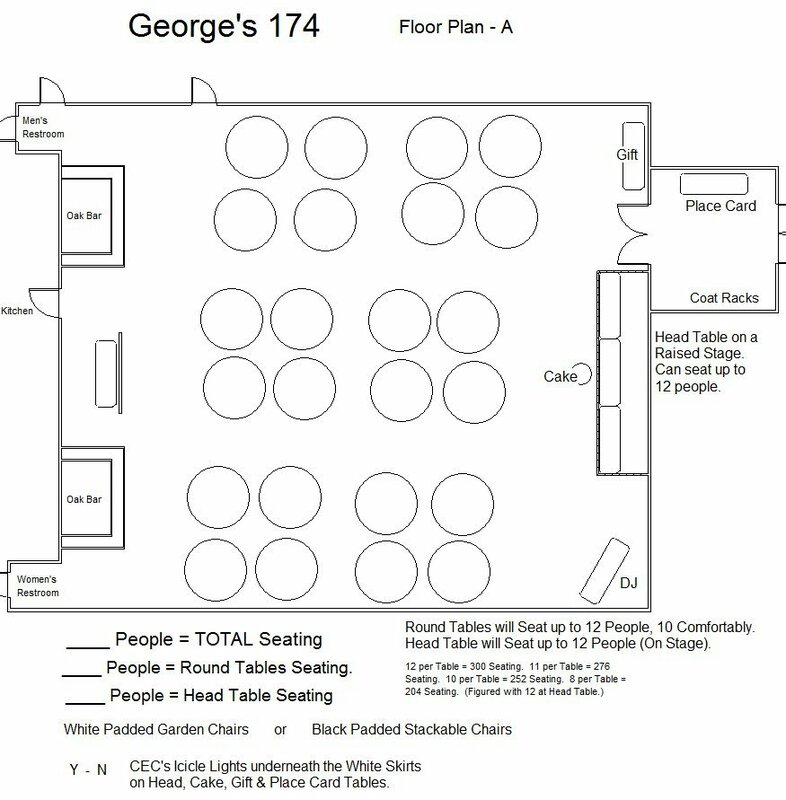 For tables of 8 guests add $1.00 per person (Minimum $150). º For Multiple Entree Plate Style Dinners add $1.00 per person. 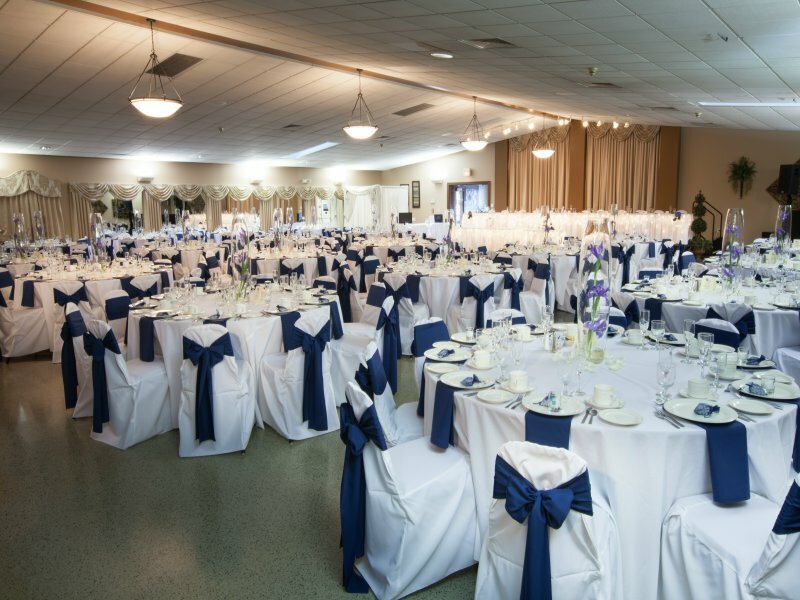 º Special order linens require a refundable damage deposit of $100. º Minimum number of guests or minimum dollar billing amounts, bar and beverage minimums, and requirements varies depending upon the event date. º Final counts and adjustments are due 13 days prior to the event date. • Soup: Chicken Noodle, Tomato Vegetable, Beef Vegetable or Barley, French Onion, or Cream of: Chicken or Broccoli. We Can Make Any Soup. Family Style Dinner is served in bowls and platters to each guest table. Our USDA Choice Beef is Slow Roasted & Sliced On Our Premises! Vegetarian, Dietary, Children or Vendor Meals are available upon request. Custom Menu & Packages are a Welcome Request. * Subject to Market Price. ** Accompaniment Selection is not included. Multiple Entree Choices (up to 3 Selections, plus Children & Vegetarian Meals) - Please add $1.00 Service Charge. The Banquet Package includes the Standard Open Bar. Sutter Home Wines: Merlot, Chardonnay, Pinot Grigio & White Zinfandel • Soft Drinks • Juices. Wine Upgrades are available at Market Price. Let us recommend the bottle depending upon your chosen menu. Also Available..... Signature Drinks, Bar Special Orders, & Cordial Bars. Ask About..... Non-Alcoholic Open Bars, & Cash Bar Options. While beverages are subject to change according to current popularity, all beverages will always be of same high quality. If tip jars on the bar are not preferred a 10% prepaid bar gratuity on the bar pricing is required. Open Bar Packages include bartender(s). 1 bartender per 135 adults. Additional bartender is available for $150. Ask for our Flyers on additional services that we offer. Chair Cover with Sash is $4.25 per Chair, plus $100 delivery & pick up fee. Ask for our complete Appetizer Listing - Includes Descriptions. (We offer over 100 Appetizers). A sinfully delicious combination of: Assorted mini pastries to include chocolate eclairs, whipped cream puffs, cannoli, fruit filled tarts and other pastries. dip. Includes Black Marble Place Settings & Elegant Presentation. Royal Mini Cheese Cakes - Amaretto Almond, Raspberry, Silk Tuxedo, Cappuccino, Vanilla, Lemon & Chocolate Chip. Includes Black Marble Place Settings & Elegant Presentation. 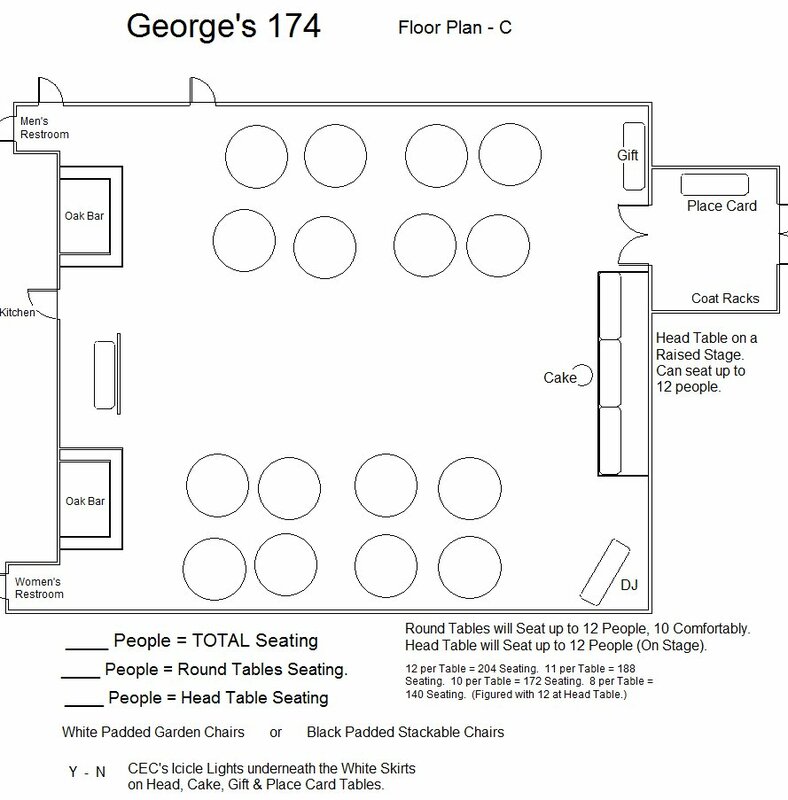 Sweet Tables can be ordered in lesser quantities then actual guest count. Suggest 2.5 pieces per person. Coffee Choice of: Regular or Decaffeinated. Includes: Cream, Sugar, Artificial Sweeteners & Cups. Over 50 styles to choose from. 3 Layers of Cake with 2 Layers of Filling. 2 Layers of Cake with 1 Layer of Filling. Service Package pricing may vary depending upon the complexity of the event for labor & equipment. Iced Tea, Lemonade or Fruit Punch - (Includes Cups and Ice) $ 52.00 per 5 gal $ 31.00 per 3 gal. Hot Buffets, Gourmet Menus, Theme Menus, Cold Buffets, Breakfast & Brunch, Appetizers, Picnics, Pig Roasts & More! Our USDA Choice Beef Slow Roasted & Sliced On Our Premises! Salad Selections: All of our Salads are Homemade! On the West Side of Essington Road between Theodore Street and Black Road at Pandola Avenue.